The Sea Ranger LC has a larger 30 X 16in (76 X 40.5cm) coaming. The aft deck is 1in ( 2.54cm) taller at the low point 7in ( 17.8cm) for greater freeboard. The beam is wider at 20.25in (51.5cm). 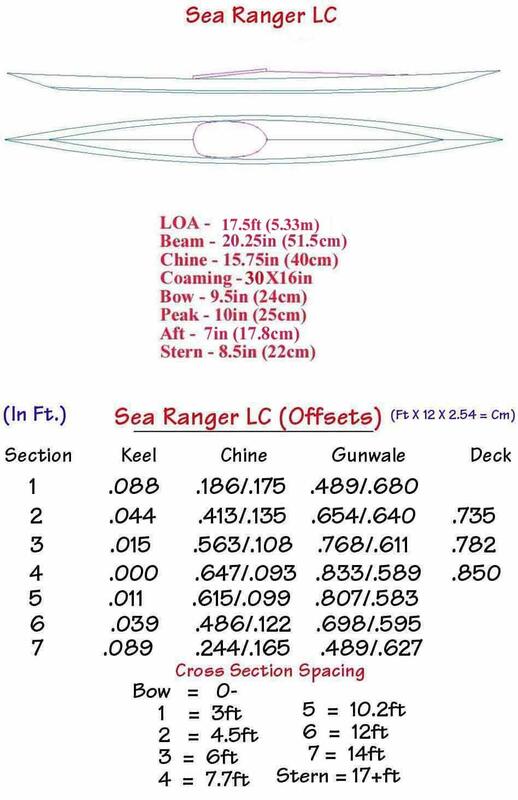 There are seven cross sections vs eight for the standard Sea Ranger.